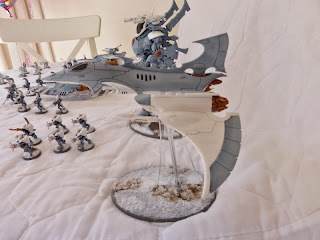 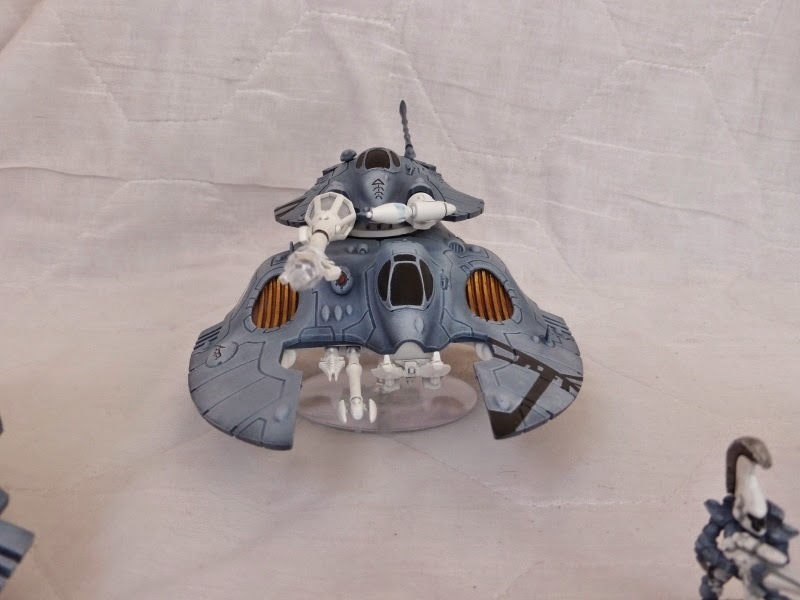 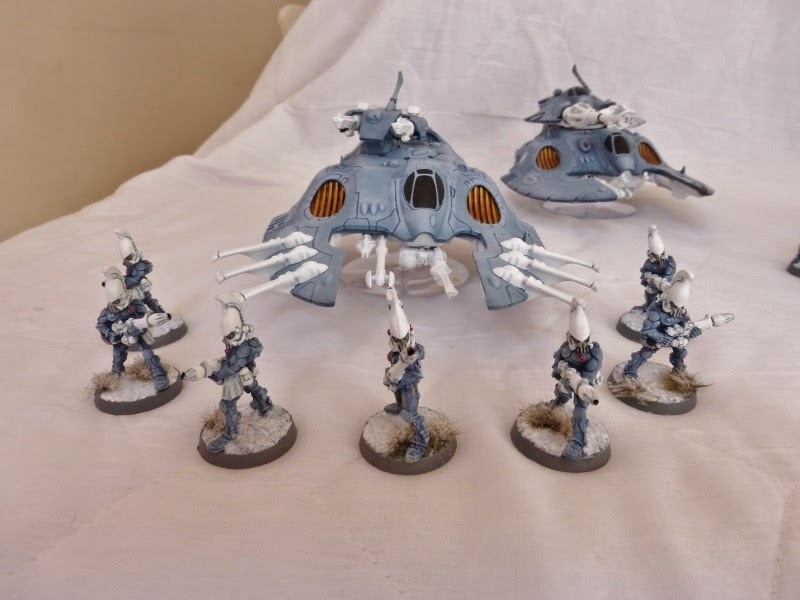 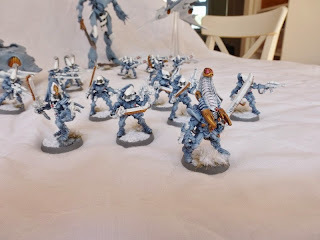 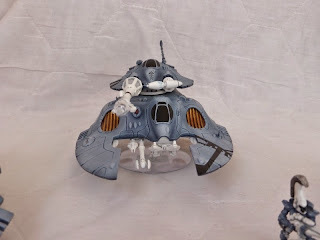 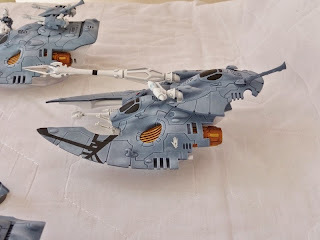 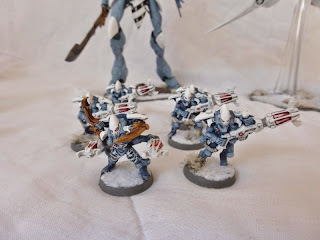 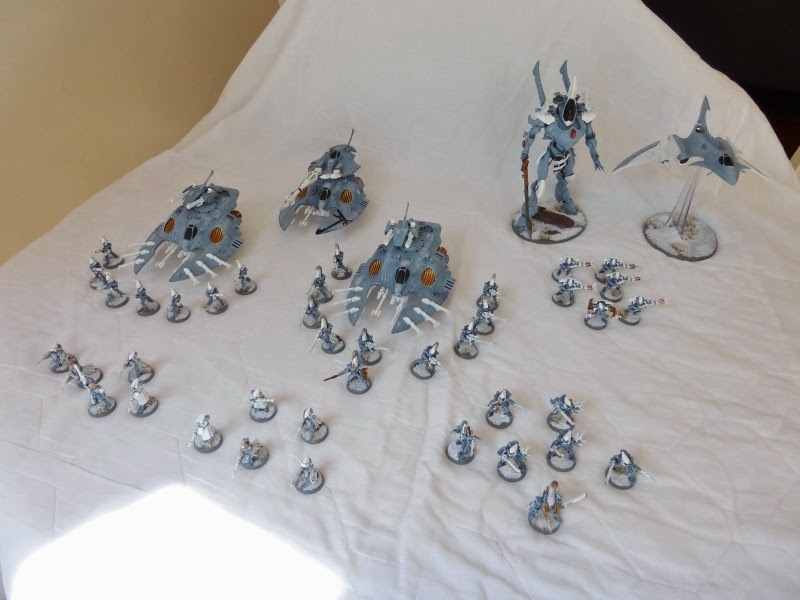 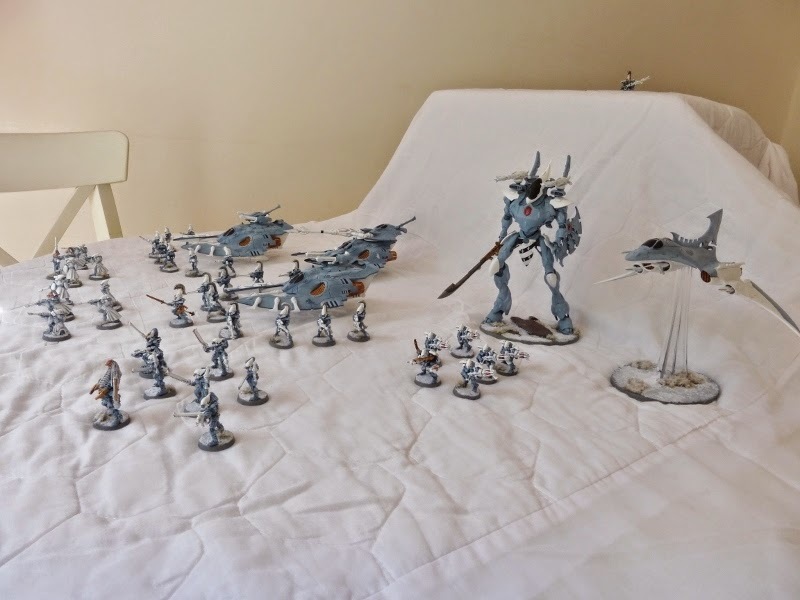 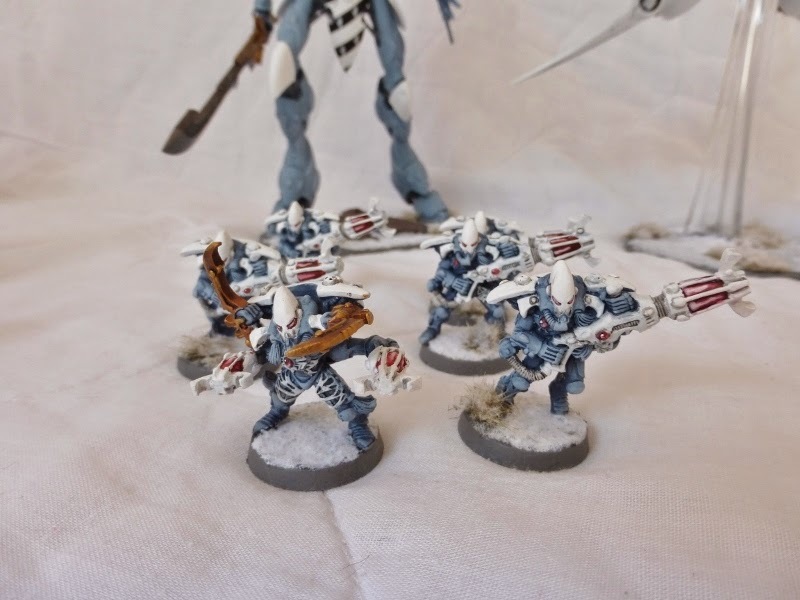 Alongside the Eladr terrain pics PeteB sent me he also had some updated shots of his Eldar and wanted to share those with you too. 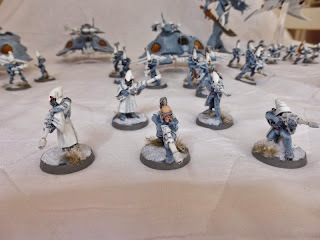 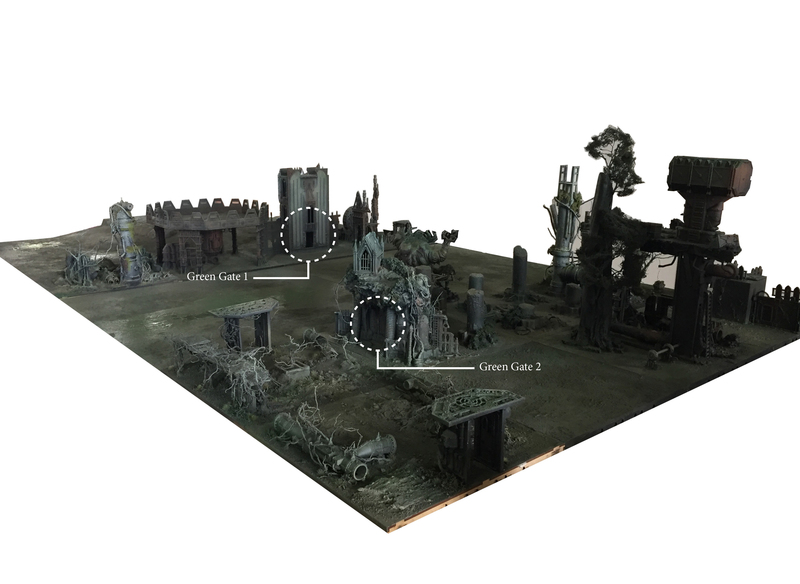 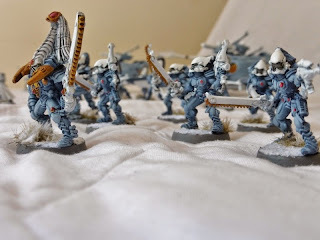 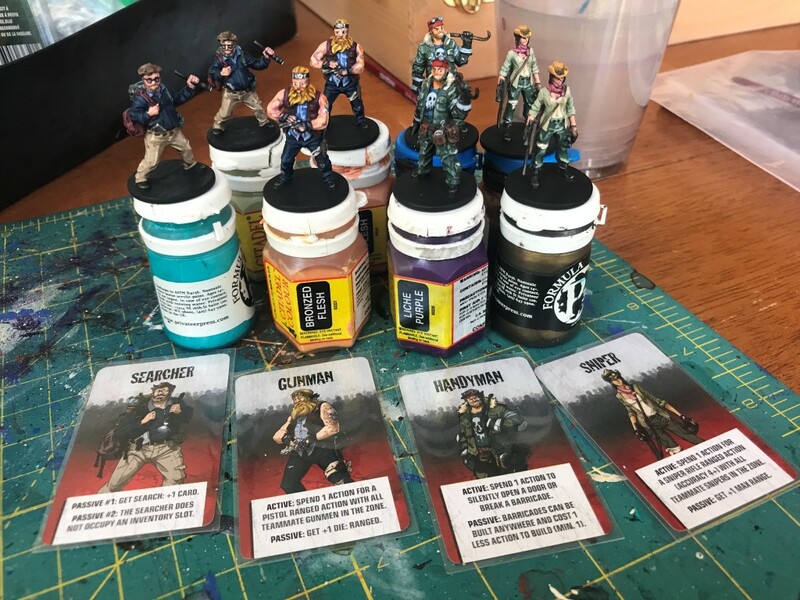 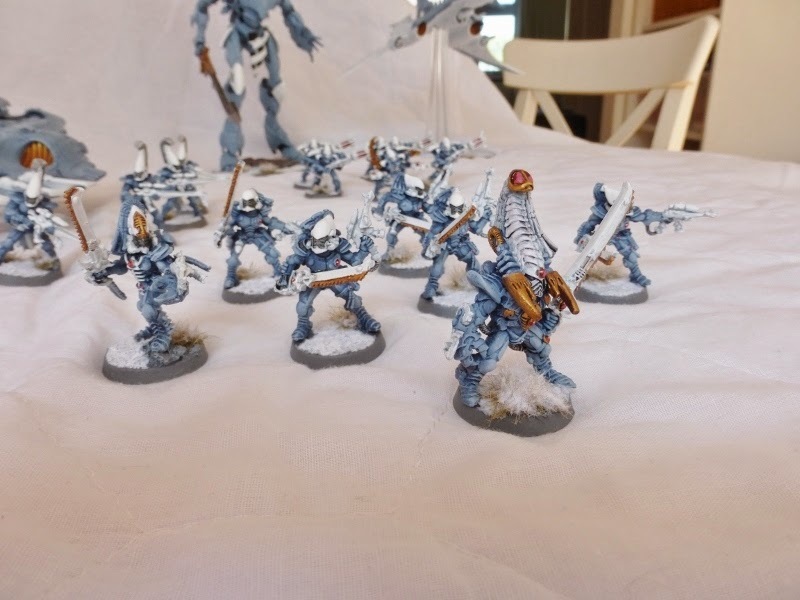 It's amazing to think this army has been just three months in the making! 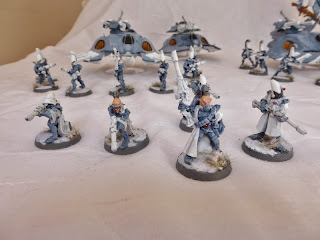 Second post in the space of a week (hopefully!! 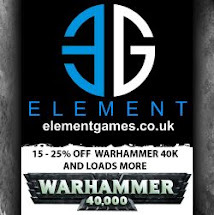 ), that's probably it for the next 5 years! 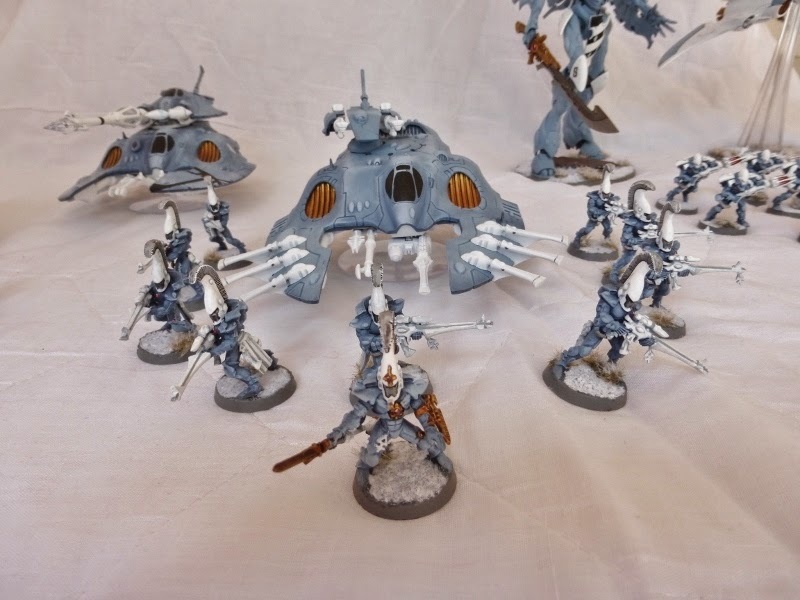 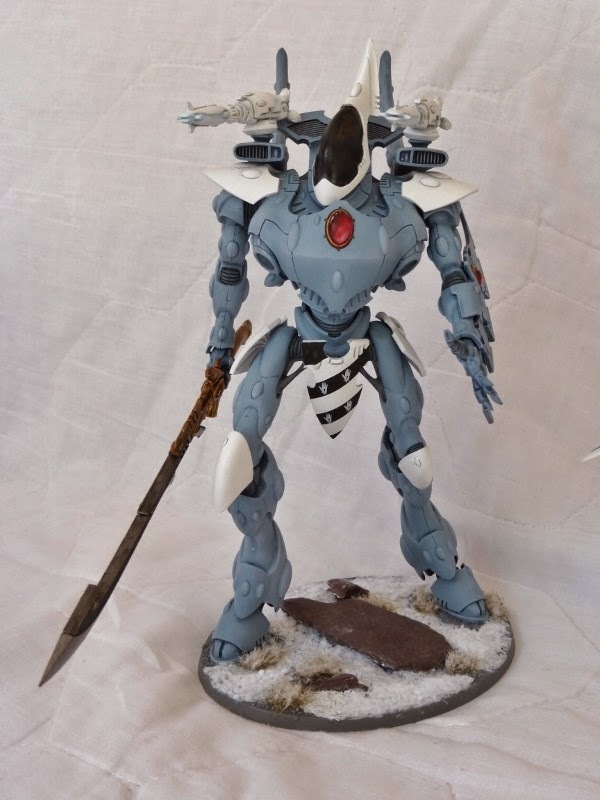 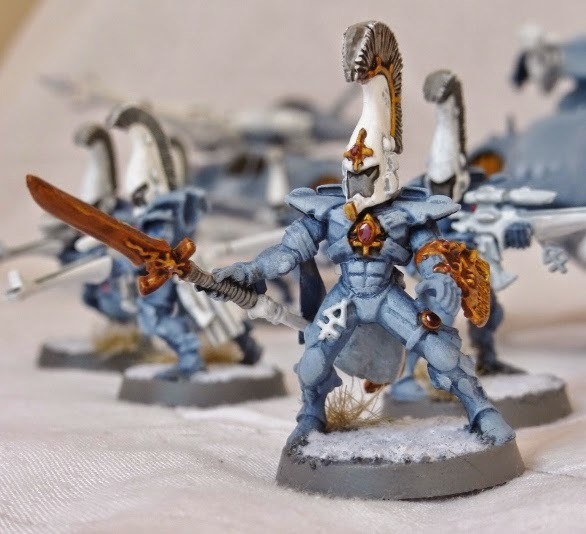 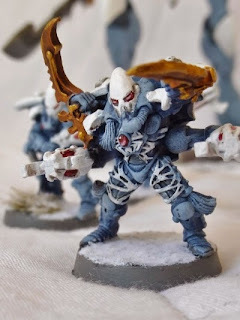 Anyway, I fancied presenting some pics of my latest and hopefully last Eldar Warhost. The pic of the Autarch is just for show. 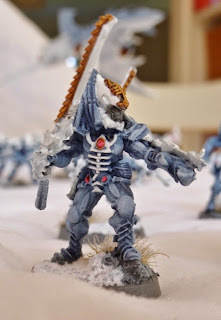 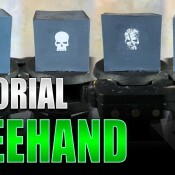 He isnt going to blog wars, but was made for the last battle I had with Dave. 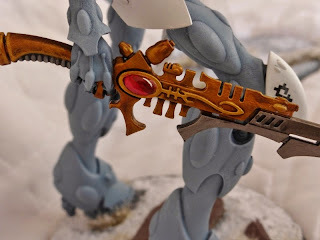 In all took about 2 hours to convert, paint and base. Karandras leads the field, with some funky new rules that combined with the scorpions make them an absolutely lethal fighting force that can take on just about anything, as Dave's Tervigon and Carnifex found out. 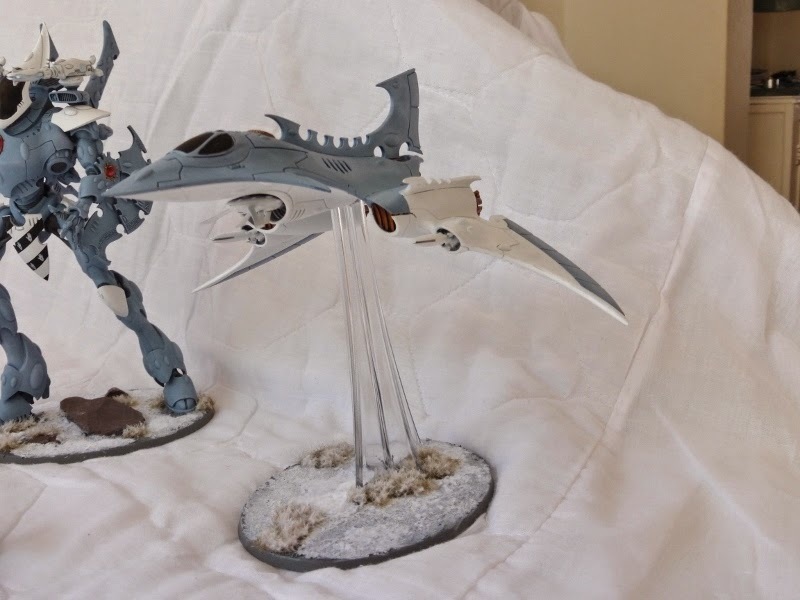 The real star for me is the Hemlock Wraithfighter. 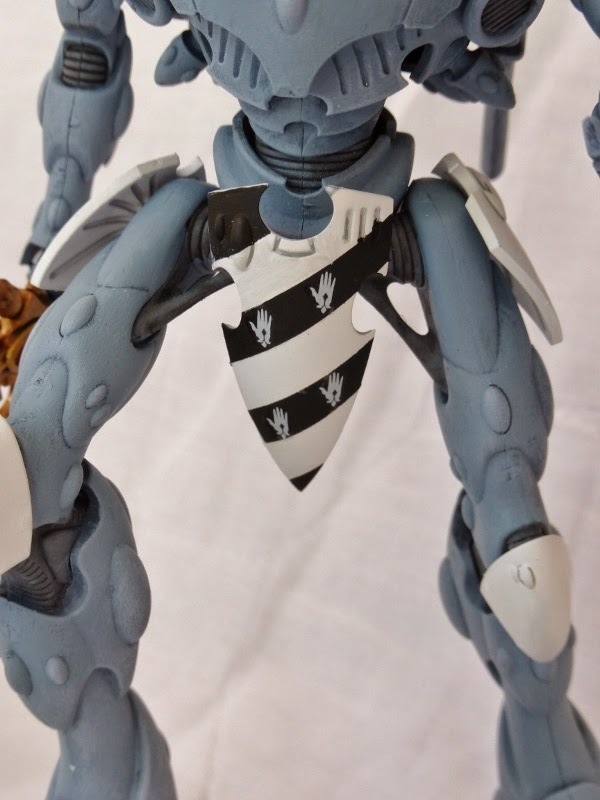 It is now as it should have been. 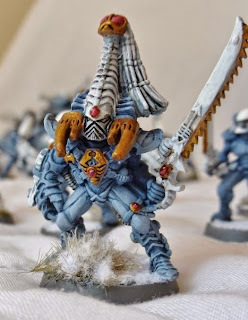 Level 2 psyker with spells from Rites of Battle, Sanctic Daemonology or from the insanely good Telepathy. To round it off 2 heavy D scythes, which although not as good (in my humble opinion) as the previous version (no instagib) are still extremely effective against both multi wound models and vehicles. It is still a paper plane and will fold with massed bolter fire, but is not well worth its points for it's buffs and offensive capabilities. Regarding the painting, only fire prism and the Wraithknight are anything near finished. 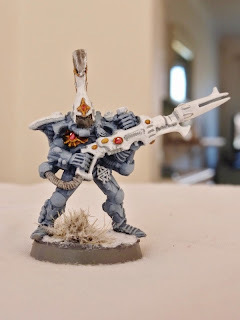 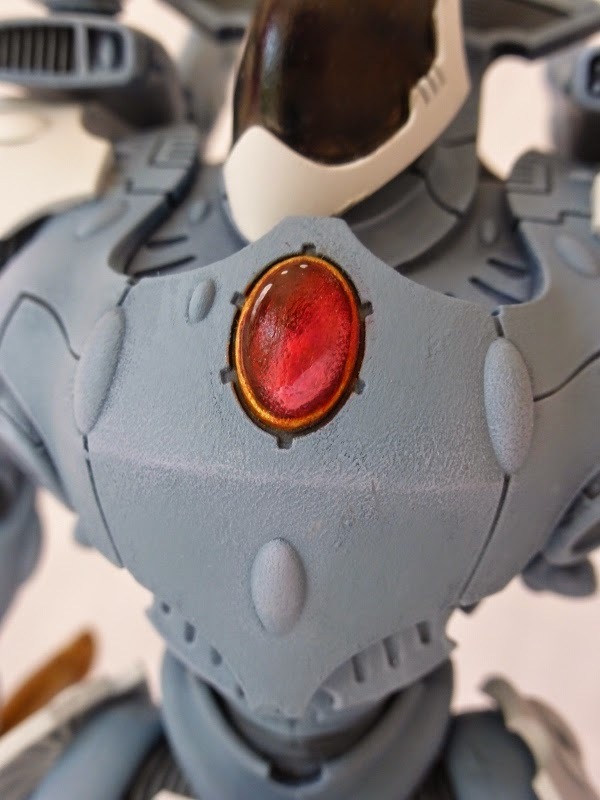 I wanted an effective paint scheme that looks good for tabletop gaming, but can be worked on further. Get your hands off my junk! 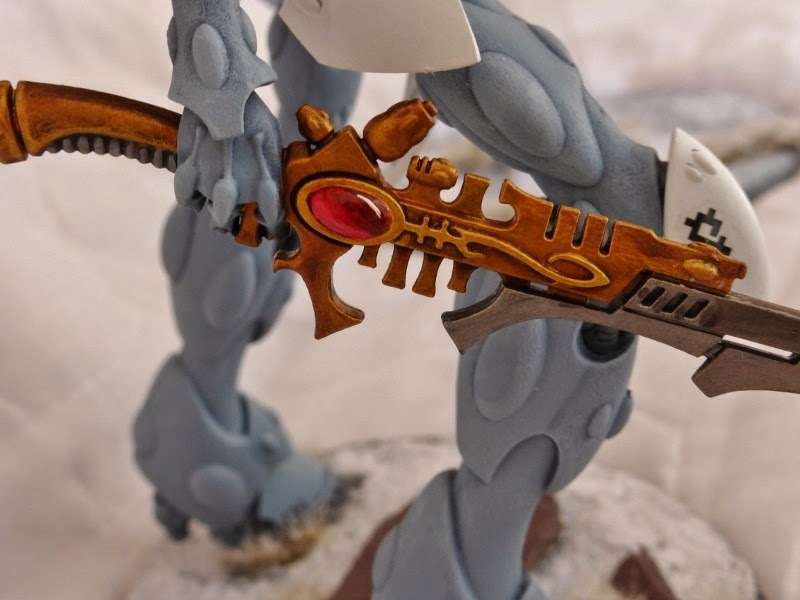 I really like the way his painting style looks on the fire prism. It's just really nicely done! 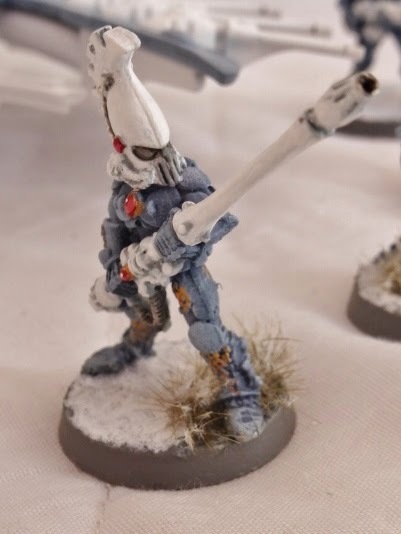 Really nice job there on the army, Pete. 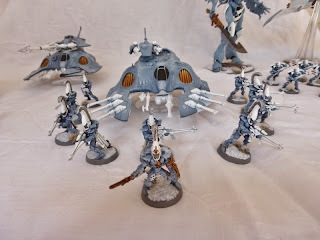 I can't believe that's your "good enough" paint job, I'd be chuffed if my army turned out like that on purpose! It's interesting to see how the army for blog wars has changed since the new codex came out.